so much awesome. so much. Today is a big day. Yesterday was a big day. There is a big day coming. I'm also up and writing at 5am, so please forgive me if this doesn't flow. It is early, but I've got to get this info out to you NOW. That's how excited I am. First, the big day coming? My littlest brother is having a baby. Well, his wife, not him exactly. She was due earlier in the week. We are just waiting on the word to hop in our car and start the 10-hour drive to Kansas. Just waiting. And it is killing me! Yesterday was a huge day for Committed Coaching. First, Cassie at Back to Her Roots announced the details of the Super Summer Challenge and - surprise! - there is a lot of Committed Coaching in there! The (free!) printables are beautiful. The peer accountability is going to be awesome. I'm offering a 15% discount for accountability services for anyone playing along with the challenge. And I am super-duper stoked to get to meet everyone. Cassie's last challenge really resonated with me and gave me a ton of momentum with developing my business. I guess I realize the impact a challenge like this can have because I was there. I was so stinking proud of completing the By the Numbers 2 Challenge. Also, my Coaching Website - Committed Coaching - got a whole new look yesterday! I'm really digging the feel of weebly. And I owe a HUGE thanks to Jaemie for getting the domain switch stuff all worked out. When she emailed me, "You just have to do this with the DNS and the specs on the rotor gurtur" I was just like, um, no. (And she didn't really say all of that, there's a reference to my favorite movie in there.) She was amazing and fast and gracious. Now, a little excitement that has more to do with you than me! Sorta, in a roundabout way. I fell in adoration with Danielle LaPorte when I read Fire Starter Sessions. So when I heard about The Desire Map, I got really really excited. And when I bought it, I had to fight between devouring it and savoring it. 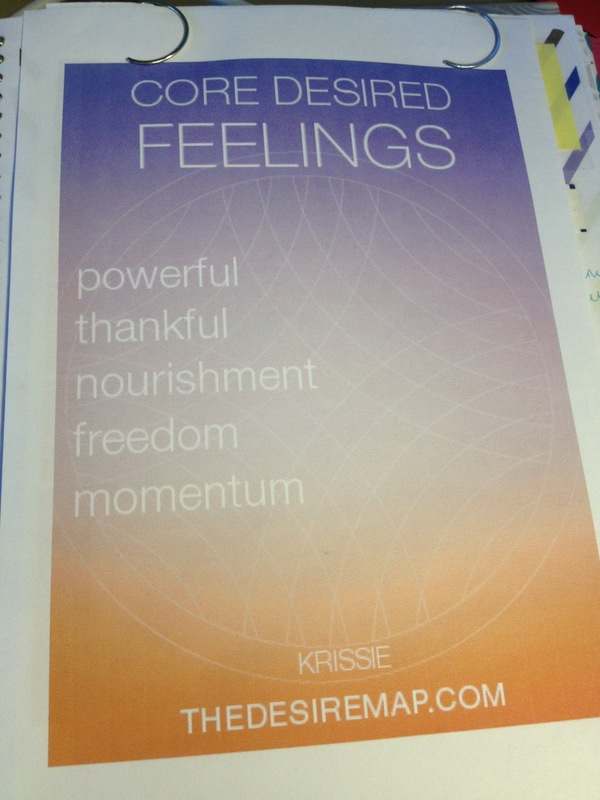 The Desire Map helped me figure out who I want to be in a very concrete way. By defining how I want to feel, I have created a decision filter that I can apply to any decision. My hand-dandy printable is right there on the inside front page of my beloved Erin Condren planner. And I truly use it all of the time. I have brought my Core Desired Feelings into my prayers, my meditations, and they calm me down when I'm panicky over a situation or choice. I'm thinking of revisiting this book in a mini-weekend retreat of my own before marathon training starts (because I want community in there somewhere), and that thought excites me. Every Friday, I do my weekly refocus worksheet. I just cannot say enough about this program. I paid the full price, and am completely and totally content. So I covered everything, right? Niece/Nephew watch. 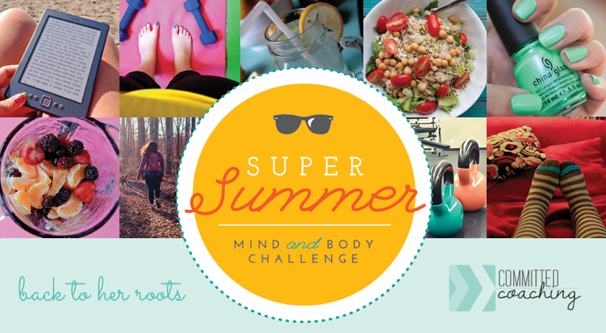 Super Summer Challenge. Website revamp. Desire Map. Check! Now I can mark this off my calendar and get ready to start my day for real. I'm kinda digging this 5am wakeup. If you have any questions about any of this, leave me a comment. Have a fantastic weekend, friends!